Are you relocating to New Zealand? We can help! Relocating overseas can be a stressful time, especially if you’re moving as far away as New Zealand. At Schepens, we aim to help make every move as simple and stress-free as possible by helping with every step of your move – from planning and packing to shipping, delivery and storage on arrival. We have a great deal of experience and knowledge in removals to New Zealand, ensuring that your shipping will arrive on time and securely at your destination. We have helped people to move to all areas in New Zealand, including Auckland, Christchurch, Wellington, Hamilton, Dunedin and Queenstown. It is not a complicated procedure to move to New Zealand. Listed below is the primary documentation required for an overseas move. Sole use containers. 20ft x 40ft x 40ft high cube. Tracking of your consignment from start to finish. A full packing list itemising your consignment (a customs requirement). A part load service to most destinations (for small consignments, in order to minimise cost). HOW LONG DOES SHIPPING TO NEW ZEALAND TAKE? The door-to-door shipping of a Full Container, will take between 6 to 8 weeks. A Shared Container Shipment will be cheaper, but will take longer, from 10 to 12 weeks. Auckland, Wellington, Christchurch, Hamilton, Napier-Hastings, Tauranga, Dunedin, Palmerston North, Rotura, New Plymouth and Gisborne. IF YOU’RE MOVING TO NEW ZEALAND, THEN SCHEPENS HAS THE EXPERIENCE, EXPERTISE AND LOCAL KNOWLEDGE TO OFFER YOU A SMOOTH, TROUBLE-FREE MOVE. New Zealand has become one of the most popular destinations for UK expats. It is easy to see why — it is a country of astonishing natural beauty, with a rich culture and friendly people. New Zealand is also an economic powerhouse and the perfect place to develop a career. If you have decided to move to New Zealand in the near future, use a professional international removals company like Schepens. We are one of the most experienced furniture movers from UK to New Zealand, having helped hundreds of clients move to this brilliant country. All of our removals to New Zealand from the UK are managed by skilled move coordinators. They are talented managers who will walk you through the entire removals process, answering your questions and explaining the removals process. They can even provide you with advice on life in New Zealand and help you complete any customs paperwork. They make the removals process simple! This guide will explain why so many people are moving to New Zealand from the UK. We’ll also share some reasons why Schepens are the best furniture movers from UK to New Zealand. Why are so many people moving to New Zealand from the UK? The beauty of New Zealand cannot be exaggerated. It is quite diverse, with huge mountains, glaciers, deserts, black sand beaches, mud pools, geysers and much more. The geography is so varied because most of New Zealand was formed through volcanic activity. You will be amazed by its spectacular landscape. New Zealand has a modern industrialised economy that performs very well compared to other OECD nations. The main industries include tourism, manufacturing, agriculture, mining, energy, and food production. The government encourages startup businesses and the unemployment rate is quite low in urban centres. The climate of New Zealand is quite varied because of the country’s diverse geography. If you prefer a colder weather, you can settle in one of the higher parts of the country. If you prefer a warmer weather, you can settle near the coastline. New Zealand is one of the safest countries on the planet. It has excellent hospitals, a low crime rate, and a world-class police force, which all combine to make it a very safe place to raise a family. Why Are Schepens The Best Furniture Movers from UK to New Zealand? Our removers are friendly, hard-working, and trained to a high standard. In addition to our internal training practices, we ensure all removers operate under the standards set out by the British Association of Removers (BAR). Our adherence to BAR standards ensures all of our international removals to New Zealand from UK are performed professionally. We are one of the largest international removals companies servicing New Zealand. The large size of our operation helps us operate very efficiently and obtain great discounts from our suppliers. These discounts are passed onto our clients, making us one of the most affordable furniture movers from UK to New Zealand. Our family-owned company was established more than 100 years ago. Since then, we have developed a reputation as the most reliable and trustworthy furniture movers from the UK to New Zealand. We treat our clients like members of the Schepens family — with immense respect and appreciation. Schepens performs removals to New Zealand from the UK regularly. We know this part of the world well, which helps us provide a removals service that is reliable and efficient. Schepens helps clients move to every part of New Zealand including Auckland, Christchurch, Wellington, Hamilton, Dunedin and Queenstown. If you are looking for reliable and affordable furniture movers from UK to New Zealand, Contact Schepens today on 01794 323 558! We offer all prospective clients 100% free quotes! New Zealand has a reputation for being one of the most beautiful places on earth. Its pristine forests, beaches, and mountains are truly amazing. New Zealand is also a very successful country, with a strong economy, world class infrastructure, and stable government. It remains a very popular destination for migrants from the UK, with thousands of people heading there each year. If you are moving to New Zealand in the coming year, use an experience New Zealand removals company like Schepens. Our company has been performing UK to New Zealand removals for decades and know the logistics of this move well. Speak to us today on 01794 323558 to book a no obligation removals quotation from our New Zealand removalists. Our talented move coordinators will help you throughout the removals process — answering your questions and providing you with advice on living in New Zealand. They can also complete any customs paperwork for entry into the country. Their job is to make the entire removals process simple for our clients! This guide will take a closer look at New Zealand and explain why UK expats are flocking to this wonderful country. We’ll also share a few reasons why you should choose Schepens when moving to New Zealand. The New Zealand economy has prospered over the past few decades, largely thanks to its strong primary production, tourism, and professional services industries. The country has built a reputation for being the ultimate holiday destination and for producing some of the best food in the world — with the wine and cheese being particularly good. New Zealand is the perfect destination for anyone interested in starting a business or finding employment. New Zealand has one of the lowest crime rates in the world and a strong social safety net. In 2017, it ranked second in the Global Peace Index, which measures the attitudes, institutions and structures that create a peaceful society. It is a very family-friendly destination to live in. You will never run out of things to do in New Zealand! There are many incredible tourist attractions to visit, including some great museums, art galleries, and concert venues. New Zealanders are crazy about sport, so you will always have a football match, boat race, cricket game, or bike race to watch. You can also enjoy the natural environment by enjoying a hike, swim, mountain bike ride or one of many other activities. New Zealanders love food. They also produce some of the best fresh produce in the world, thanks to their fertile soil. The restaurants make the most of the excellent produce, creating incredible dishes in many different styles. The New Zealand education system is well funded and is highly ranked compared to other OECD countries. There are many excellent public, private, international, and religious schools to choose from across the country. The curriculum is quite similar to the UK education system, with a focus on maths, science, history, and English. Attending school is compulsory between the ages of 6 and 16. These resources will help you plan your move to New Zealand. Why use Schepens when moving to New Zealand? Schepens is a large company with many depots around the word. We are also a very efficient operation that obtains cost savings by moving huge amounts of cargo each year. We pass those savings onto our clients, making us one of the cheapest options for UK to New Zealand removals. Despite being affordable option for international removals, we never compromise on the quality of our service. Our team performs many UK to New Zealand removals each year. We know the logistics of the journey well and enjoy visiting this spectacular country. Our removers have excellent local knowledge of New Zealand, which helps to improve the efficiency and safety of our New Zealand removals. All clients moving to New Zealand will receive a 100% free and completely obligation free quote. Our quotes are highly detailed but easy to understand. They contain information about the cargo being moved, the optional services selected, the pickup date, the delivery window, and the total cost. There are no hidden extras, we are completely upfront about the cost offer removals. Schepens helps clients move to every part of New Zealand including; Auckland, Christchurch, Wellington, Hamilton, Dunedin and Queenstown. If you are moving to New Zealand this year, choose skilled international movers like Schepens! Contact us today on 01794 323558 to discuss your requirements and obtain a free removals quote. New Zealand has become a very popular destination for migrants from Europe over the past few decades. The country’s stunning natural beauty, healthy economy and friendly population are major draw cards that attract thousands of people each year! In addition to being a truly beautiful part of the world, the standard of living is very high in New Zealand and it is the perfect place to raise a family. Schepens have been helping clients move to New Zealand for many decades. We are an experienced international removals company with the skills and local knowledge to make removals to New Zealand simple and stress-free! Our company has been performing removals for more than 100-years — during that time we have developed a strong reputation for reliability, professionalism and affordability. The strength of our company is our talented and experienced staff. They have performed many removals to New Zealand and understand the logistics involved. We have helped clients move to many different parts of New Zealand including, including Auckland, Christchurch, Wellington, Hamilton, Dunedin and Queenstown. This blog post will look at the reasons why so many people are moving to New Zealand before explaining the New Zealand removals services offered by Schepens. New Zealand is an island nation located in the southwestern Pacific Ocean. It is a 1st-world country with an advanced economy and a population of 4.7 million people. The country is one of the most beautiful in the world, with a diverse landscape and incredible biodiversity. New Zealand has one of the strongest economies in the region. It is a developed market economy with a high GDP per capita, low unemployment rate, high level of economic freedom, and high purchasing power parity. The country produces some of the best agricultural products food in the world and is well known for its dairy, meat and wool. If you have seen the Lord of The Rings movies, you have already seen the beautiful natural environment in New Zealand. It is an absolutely stunning part of the world with incredible rainforests, mountain ranges, and waterways. Highlights include Lake Gunn, The Emerald Lakes on Mt Tongariro and Pencarrow Head in Wellington. If you enjoy outdoor activities like mountain biking, sailing, surfing, hiking, rowing, snow skiing or swimming, it is the perfect place to live. New Zealand has some very intelligent political leaders, intellectuals and industry leaders who continually push the country forward. They are one of the world leaders when it comes to human rights, renewable energy, sexual freedom, education, healthcare and sustainability. The country was ranked #1 in the 2014 global index of social and environmental performance. There are few countries that are fairer, more tolerant and more progressive than New Zealand. The Māori people are indigenous to New Zealand. They have a very proud history and culture, which gives the country a real feeling of authenticity and history. Since the Europeans arrived, the country has become increasingly multicultural. There are now many different cultures living side by side, which makes it an interesting place to live. New Zealand has higher education participation, funding and teacher-child ratios than the OECD average. Teachers are well paid and it is a respected profession in the country, which leads to some very talented people becoming teachers. Attending school is compulsory for children between the ages of 6 and 16. Most students attend primary school for the first 6-years, following by 7 years of secondary school. However, students can attend a composite school, which provides them with education from age 6 through to 17. Before the age of 6, children can attend preschool. “Your team worked really hard and nothing was too much trouble, they kept smiling and in good spirits even when things were more tricky that first envisaged”. Here are some useful resources to help you plan your move to New Zealand. Why Use Schepens For Removals to New Zealand? 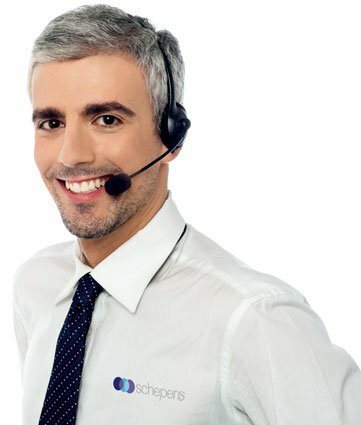 Schepens can make your move to New Zealand simple and easy! We have the right combination of skills, experience and talented staff to help you get set up in your home or business very quickly. Schepens have helped many clients move to New Zealand over the years and regularly move cargo to this part of the world. Because we transport so much cargo to this part of the world we are able to offer clients a flexible delivery schedule. All removals to New Zealand are safe, secure and fast! 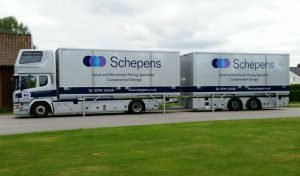 Schepens is a 4th-generation, family owned business that has performed thousands of overseas removals. We are very proud of our business and are committed to maintaining the incredible reputation that we have built. All removers involved in removals to New Zealand have been trained to British Association of Removers standards. These standards dictate how items should be packed, which emergency procedures should be in place and how many insurance policies customers should be offered. Using removers trained to these high standards gives you the certainty that the job will be performed correctly. All removals to New Zealand are performed using state-of-the-art equipment including our modern fleet of removals trucks. They are vehicles specifically designed to move cargo safely over long distances. Our trucks feature air ride suspension, an adjustable barring system and security alarms to keep your cargo safe during the move to New Zealand. All cargo containers use an advanced tracking system so we know where your delivery is at all times. All removals to New Zealand are managed by a dedicated move coordinator. They will oversee the entire process and make certain the client is happy at every stage. They will also explain the entire removals process to the client, so you understand precisely what options are available and how the removals schedule works. If you are going move to New Zealand from the UK or elsewhere, choose an experienced international moving company like Schepens! Contact us today on 01794 323558 to discuss your requirements with our friendly staff.